The attempted terrorist attack by a Nigerian - Umar Farouk Abdulmutallab, on Christmas Day 2009 took many Africans by surprise. Call it naivety, but the truth is prior to Umar Farouk's attempt to blow up Delta Northwest Airline flight 235, many had never envisioned the possibility of a West African suicide bomber or terrorist. The events of December 25, 2009 in Detroit raised many questions, many of which remain unanswered. Is terrorism taking on a new face? The international counter-terrorism community has not ruled out this possibility and there have been warnings of the possibility of terrorists who blend perfectly into their surroundings before attacking. It's worth mentioning that this fear is not unfounded because in September 2007, Germany arrested three terror suspects, two of whom were ethnic Germans. Did the arrest of September 2007 signal a new trend of blue-eyed blond-haired terrorists? Earlier this week, a blue-eyed, blond-haired Pennsylvania woman was indicted for conspiracy to support terrorists and kill a person in a foreign land. 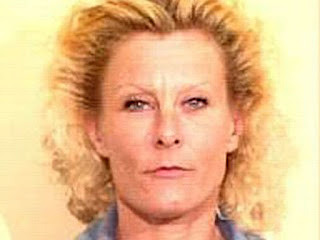 The woman, Colleen LaRose, 46, now popularly known by her online name - "Jihad Jane", is being held at the Federal Detention Centre in Philadelphia. According to the U.S. Justice Department, she recruited men to "wage violent jihad in South Asia and Europe, and recruited women on the internet who had passports and the ability to travel to and around Europe, in support of violent jihad." 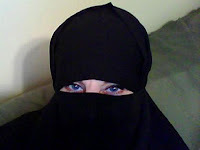 Online, "JihadJane"said she wanted to become a martyr and use her European looks to "blend in with many people." She was recruited when she posted a comment on YouTube that she is "desperate to do something" to help Muslims, according to the indictment. It's with no doubt therefore, that she agreed to kill a citizen of Sweden - Lars Vilks (the artist who angered Muslims by drawing the Prophet Mohammad with the body of a dog). "JihadJane" actually traveled to Sweden in August to execute this mission. However, the mission was aborted when she was arrested 2 weeks after she was sent the direct order to kill Lars - in a way that would frighten "the whole Kufar [non-believer] world". Experts have issued a dire warning that there might be more cases of "Individuals carrying American, British, French, any European passport who are indistinguishable from other citizens and who have been somehow radicalised..." (Jerrold Post, author of THE MIND OF THE TERRORIST). You should know by now that holders of European passports do not require visas to travel to the U.S., hence do not have to visit U.S. Embassies or consulates for interviews. Does the advent of a new trend of blue-eyed, blond-haired terrorists signal a new era in U.S.-Europe relations? Should European citizens be allowed to travel to the U.S. without visas? More importantly, do you still think only "Arab looking" people or people with Arabic names are potential terrorists? Labels: Law, Social Trends, U.S.